The two paintings shown above are part of a series that utilizes complex color palettes, bold brushwork and dramatic compositions. 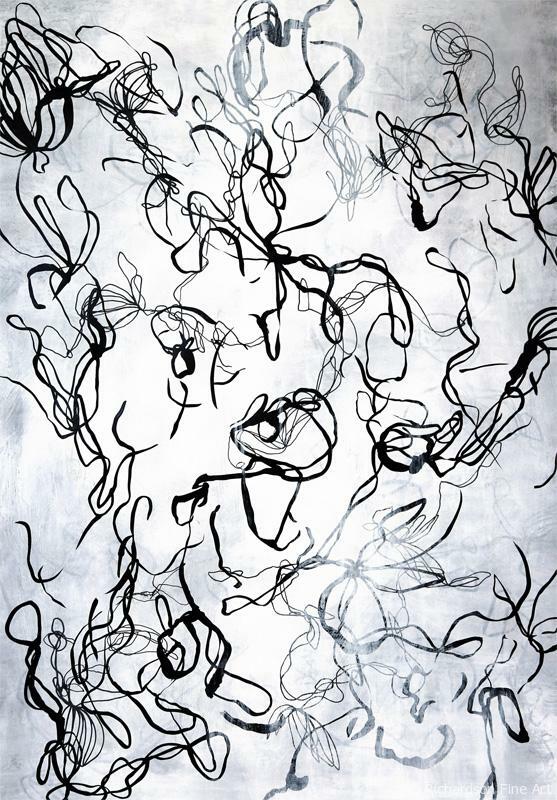 This series also introduces abstracted organic shapes interlaced with representational imagery. “Free Fall Lemon Drop” (left above) is the first work to mix graphite elements with ink, watercolor and opaque acrylic shapes. “Raspberry Sorbet” ( shown below) is where I brought solid black gestural “ink wash” like brushwork into the composition. These pieces are about capturing the essence of coastal life…the joy of being around water and the warmth from a bright sun-filled day. 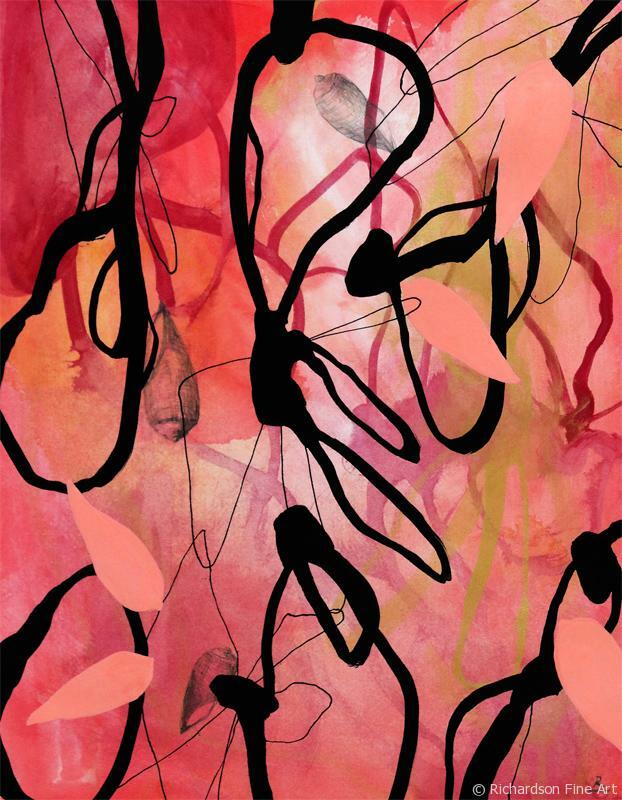 “Raspberry Sorbet” is created with graphite, acrylic, watercolor and ink on 100% cotton pH-neutral Arches paper. 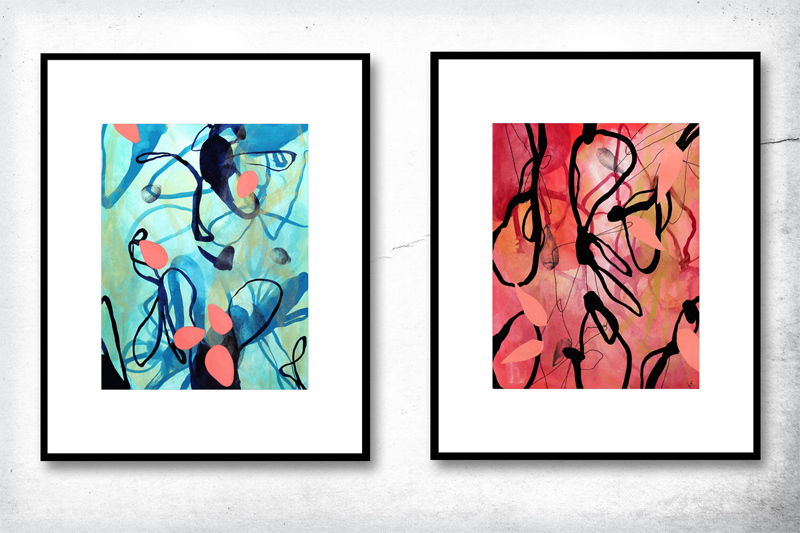 The two works are sold pre-matted/ mounted on a crisp white 8-ply archival 16w x 20h gallery style mat. If you are you interested in the painting “Raspberry Sorbet” or purchasing additional art work please send a message to the studio and we will be happy to help you.